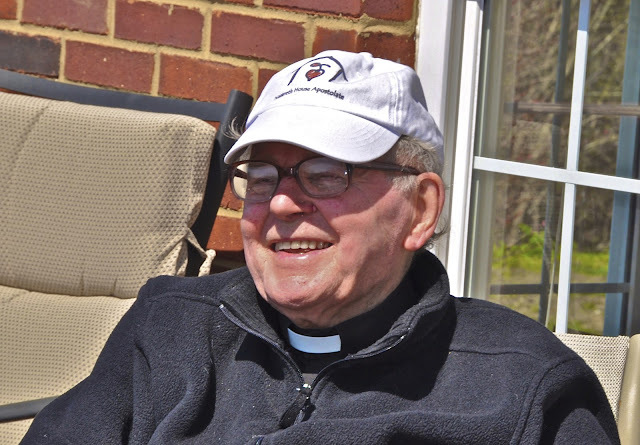 A very dear friend of ours, Fr. 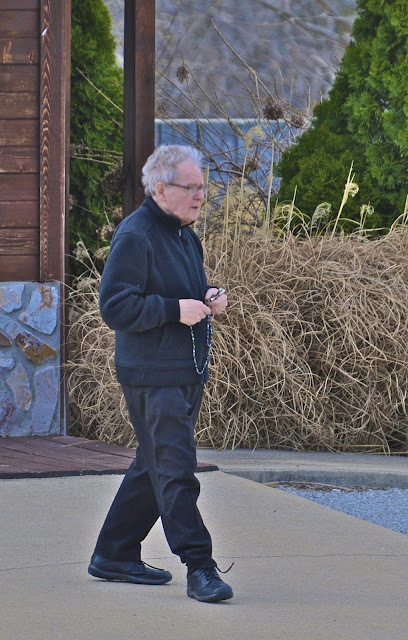 Gabriel Harty, The Dominican Rosary Priest from Ireland, has a very big place in our hearts and that of St. Simeon Skete. I fondly remember preparing his oatmeal with prunes for breakfast when he was here a few years back. What a joy it was to have him with us and what a joy it is to carry him in our hearts. Seraphim, Fr. 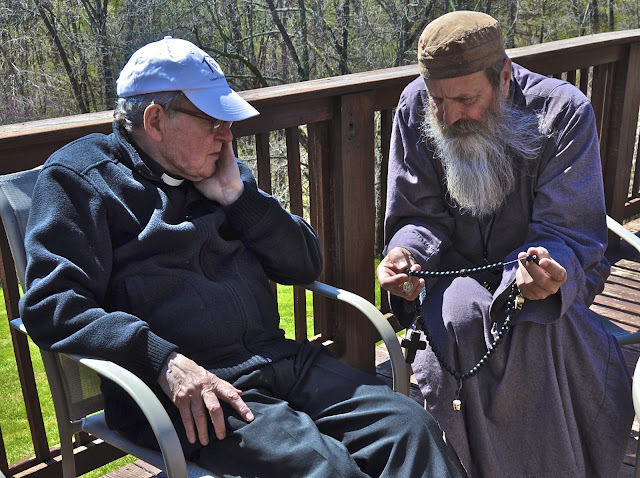 Gabriel and I are never far apart though the miles span wide; for we are connected through the Life of Christ prayed in the rosary. Everyday. 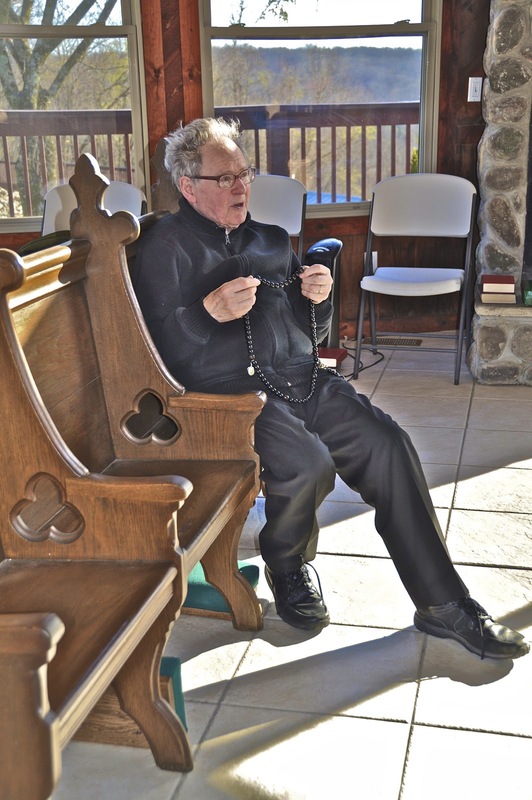 If you’ve read much or know much about the rosary, you know about Fr. Gabriel. 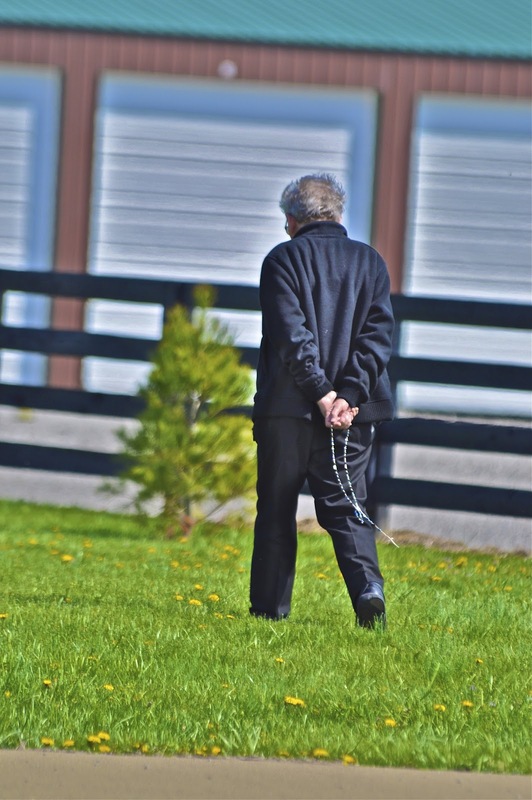 He is a remarkable man and as a Dominican he has preached, prayed and taught the rosary all over the world. 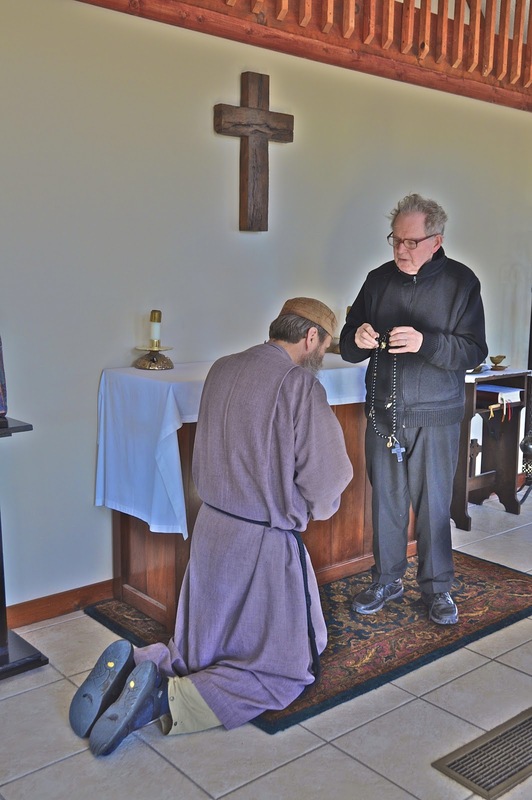 I beamed with admiration – a man of the rosary and a Mac user – totally a man of my heart! Each meeting that we have with Fr. Gabriel is of the most cherished experiences Seraphim and I can have. We’ve traveled to Ireland to see him and hope to return very soon. Fr. 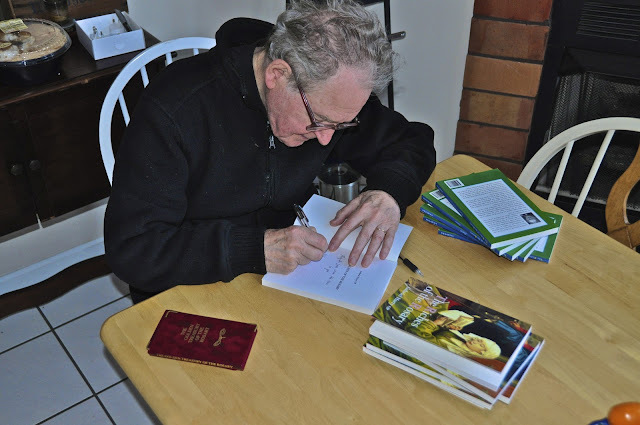 Gabriel has been there for us for decades through his books on the rosary – even before we met him face to face. Seraphim carried Fr. Gabriel’s book on the rosary and healing with him around the world as he prayed through war zones. There was so much healing needed especially in Sierra Leone after the horrific atrocities of the Civil war. Part of the weekly schedule at St. Simeon Skete is a Wednesday Study Class. The perpetual subject is the rosary. Currently we are diving deep into one mystery at a time. Whenever I receive an email or a card from the post from Fr. Gabriel, his words are always encouraging, caring and brighten my day. A true shepherd, a true father. At 95 this beloved priest is regularly teaching school in Dundalk, Ireland. 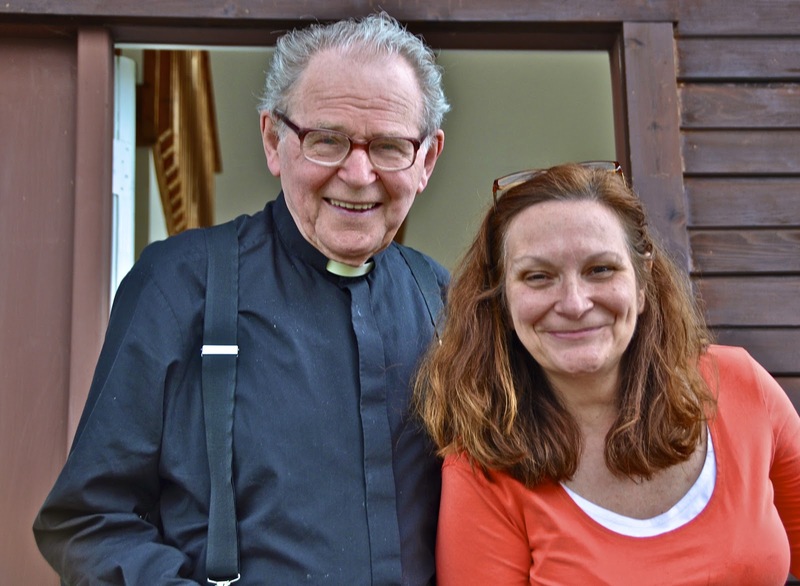 6th class pupil, Ruth McGee and Fr. Gabriel Harty OP in St. Malachy’s Girls’ National School. If you haven’t purchased the book HEAVEN SENT, we highly recommend it. 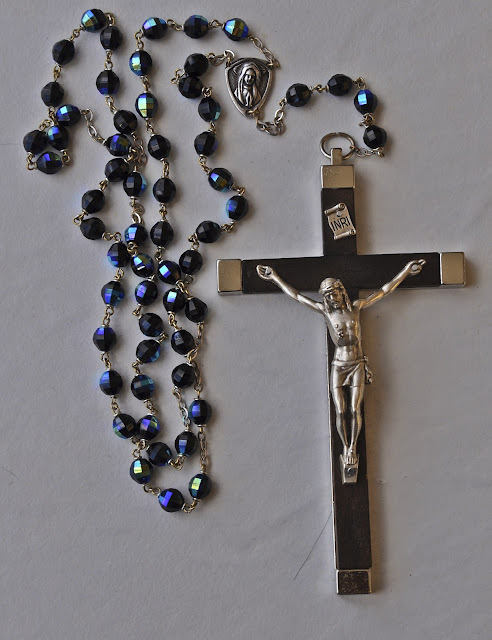 Its the perfect Christmas Gift for those who daily say the rosary, for those just starting out or at any stage in between. 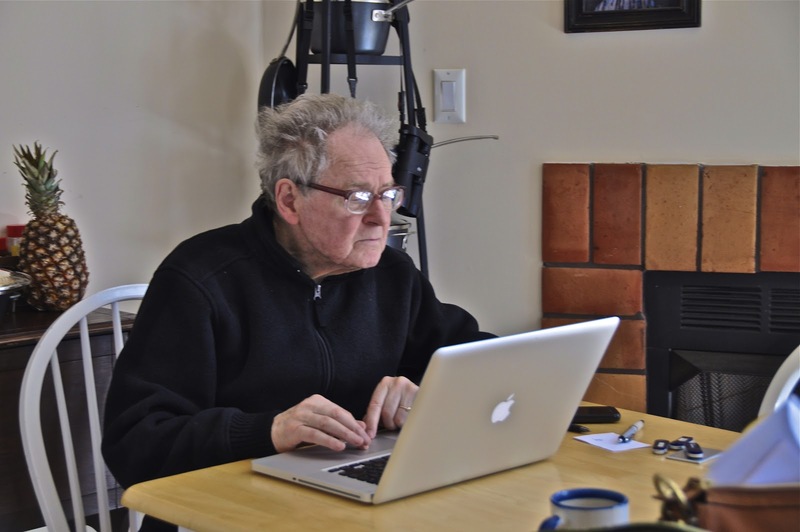 It is one of his best, although everything he has to say or write is excellent. If you visit the skete, we may still have a few copies left for sale in our Undercroft Shop, however, it is available on Amazon at this link. Link to Heaven Sent, by Fr. Gabriel. 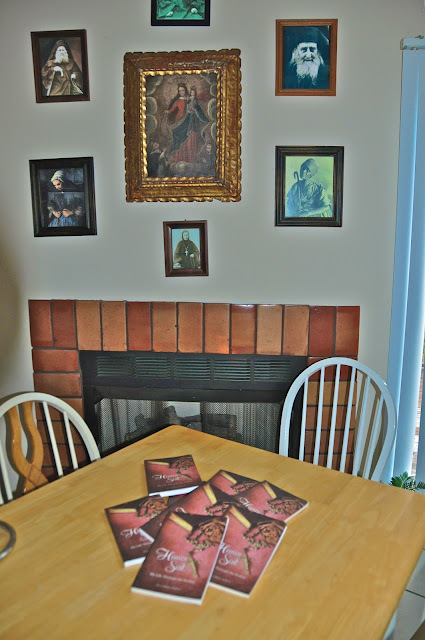 click here to purchase “Heaven Sent” from Amazon. The kindle edition is also available.